This friday I joined Paulo to pick up a WII controller at a gaming store. He asked the guy at the counter for a demo disk of Supreme Commander, an RTS that I’ve been eagerly awaiting. Back at the office he had a look at the specs required and then gave me the disk as his gaming PC wasn’t up to it and he mostly plays WII these days anyway. Back home I found that my own gaming PC also struggeled a bit but then I remembered that Apple released an update to BootCamp the other day. The MacBook Pro is quite a piece of hardware and it has a better GPU than my gaming PC so I thought I’d try BootCamp again to see what kind of performance I’d get. Easier said than done as my 120Gb harddrive was almost full and Bootcamp would need about 12Gb of space to install the game and XP. After a lot of cleaning and backing up old stuff, I had more than 30gb free, but BootCamp still wouldn’t install since there wasn’t enough contiguous free space on the drive. OSX has this funky Unix filesystem that supposedly does not suffer from de-fragmentation so there’s no tool in the OS to compact what is on the disk. After a bit of researching, I found this tool called iDefrag that did the job in two hours for $30. I now had 30Gb of contiguous space and BootCamp installed smoothly. It’s kind of funny - updating XP after the install takes longer than the install itself. I must say that after using a Mac for such a long time, it really feels messy with all those balloons popping up in the lower right corner telling you that you don’t have any antivirus installed, windows update needs to be updated, I need to activate my XP, I need to prove that I have a Genuine copy, a bunch of updates must be installed and so on. OSX is just so sleek and “wise” compared to that. 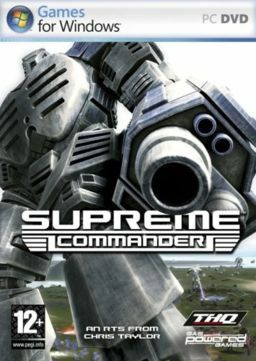 Anyway - Supreme Commander runs beautifully on the MacBook so I’m picking up a copy of the full game tomorrow. Great Fun and the zoom from World View to Battle is amazing! Runs pretty smooth on the native 1680x1050 resolution on the MacBook Pro. How did the game run on your Mac Book Pro? Mike Downey and I have been playing, and having a blast. I have been thinking about trying it out on my Mac Book Pro for lan meets and such. The MacBook Pro runs very smooth compared to my gaming PC (has an ATI X800 Graphics card), but I’ll check this evening to see if there’s a way to display the framerate and post that. That should be a good reference. I also run Supreme Commander on my MacBook Pro, and have noticed that while reducing the resolution doesn’t seem to improve framerates, if you reduce the quality of shadows, textures, etc (I don’t remember the exact names) then the framerate improves dramatically. I was really suprised. I installs SupCom and Bioshock on my new Macbook Pro and they both run exceptionally well with XP. Supreme Commander was really nice. I was wondering how Supreme Commander and its expansion pack runs by now on MBP 2.5 GHZ? I haven’t bought it yet but will in 2 weeks. Thanks! I mostly play games on my gaming PC that has a much better spec (3,2ghz CPU / GeForce 8800 GS GPU). It plays beautifully on that one though and I’ve seen that Mike Chambers and Ryan Stewart have been playing it a lot lately, so I might give it another shot. Maybe they’ve fixed the issues I had?